Today begins Christa Wolf Week and I’ve already spotted a few posts here and there. 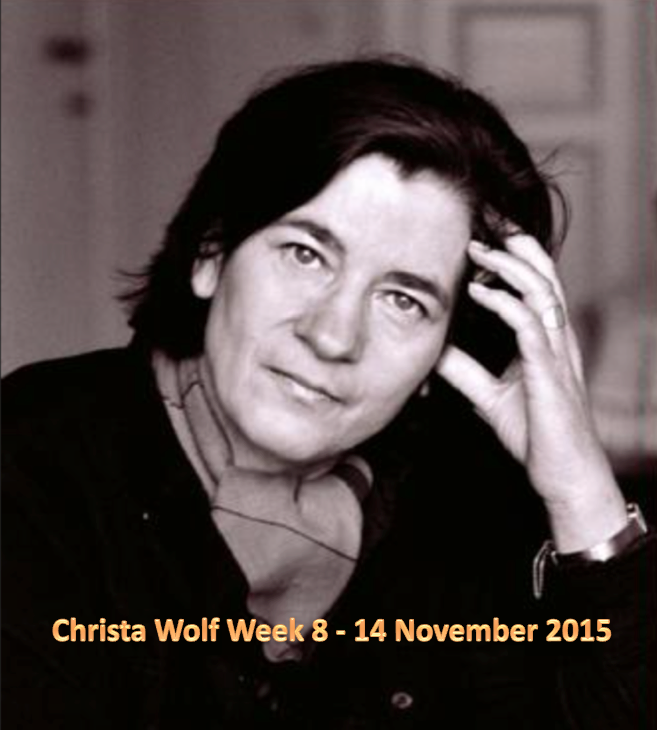 Christa Wolf was one of the most important writers from East Germany. Huge crowds came to her readings. She was considered controversial after the unification because she never openly criticized the values of the regime. She was also accused of having been a Stasi informant. It seems however that she wasn’t collaborating the way the authorities wanted and that she was closely watched herself. Given the complexity of the subject, I’m grossly simplifying here. I was hoping to review at least two of her books but I won’t manage much more than The Quest for Christa T., which I find beautiful, fascinating, and annoying in equal measures. It doesn’t have a lot in common with the other books I read by her and which I liked, or even loved. The first book by Wolf I read was Cassandra and I still think it’s one of her greatest books and one of the greatest retellings of a myth. I also liked They Divided the Sky because it allows us the see the former German Democratic Republic through someone’s eyes who really stood behind its ideals. The one I truly loved was No Place on Earth that tells a fictitious meeting of the writers Karoline von Günderrode and Heinrich von Kleist, who both committed suicide a few years after the imagined meeting took place. Other books by her that are important are Medea, A Day a Year and A Model Childhood. What are you reading this week? Do you have a favourite Christa Wolf book? I’ve only read “Quest” which I really loved, as you know. I wish I had time to read another but I’m so embroiled in “The Magic Mountain” I daren’t deviate! But at least I have plenty of her books for another time! I’d be interested to know what you think of her other books. I won’t be getting to Christa Wolf this year (GLM) but perhaps next. I have No Place on Earth. I’m really interested to hear your thoughts on it – when you get to it some day. I had a long of writers I wanted to read for this GLM and I wanted a range of titles. Just didn’t include this one. Reading Fontane at the moment. I wish I hadn’t chosen The Quest for Christa T. It’s such a slow read. Fontane’s always good. two novellas which had sat on my shelf for far too long. I’ve yet to try anything by Christa Wolf but her work is of interest to me. I’m looking forward to hearing more about The Quest for Christa T. – the title alone suggests something very intriguing. Very intriguing but slow. Worthwhile though. I feel very similar about this one but the others were very different. I’d be interested to know what you think of them. Christa Wolf seems like such an intriguing writer. I regret not being able to join you for the breading event. The events deaths of the writers highlighted in No Place on Earth are so interesting but troubling. Yes, they are very troubling. Both writers suffered so much because of the society they lived in. It’s a very touching book. She’s interesting. I think you’d find A Day a Year interesting. Good luck. I will be looking out for Christa Wolf reviews. I read The Quest for Christa T in the summer but Currently don’t have any more of her books. I know you liked it. I hope you’ll read one of her books some day. I’d love to hear your thoughts. My favourite book is still “Der geteilte Himmel”. I managed to buy a decent copy of Patterns of Childhood (A Model Childhood), but given my traveling from the end of October through mid-November, I won’t be able to devote the time to it. However, I am reading The Emigrants by W.G. Sebald, a book I won thanks to Lizzy’s Giveaway, which will be finished soon. I also am hoping to read the Remarque book by the end of the month. One of the events that struck me as I read the beginning of Wolf’s Patterns of Childhood is the trip she took with her brother(? ), I think, to visit the Polish town that was once their East German hometown. I can’t imagine the sense of dislocation that the children of many of these formerly German towns must have experienced when and if they returned to their places of origin. This would have been true for the children of Pomerania, East Prussia, and lots of other border areas as well. Although my experience is very different, I could relate, because my hometown and the neighborhood where I grew up, became a very, very wealthy community decades after my family lived there. Many of the houses in the entire region were torn down, trees and hills and fields bulldozed, and ultra-extravagant new “pseudo-mansions” built in a place that hadn’t changed for generations. My brother and I visit occasionally, and we’re hard-pressed to find a street or a stream or a square that even halfway resembles the way it was when we grew up. Not every Boston metro community experienced this type of transformation, but a number did. Of course Wolf’s dislocation was political and cultural, which was very different. Interesting to hear about your neighbourhood. I suppose that’s what thye call gentrification? Ia gree that it must be peculiar – maybe even painful. I’m sure it was in Christa Wolf’s and other German’s cases. Being part of another country altogether must feel more than just strange. I’m glad to hear you will join the Remarque readaong and I look forward to your Sebald review. I read the fist part of it and it was beautiful. I’ll be visiting shortly. I’ve got some catching up to do. I just finished reading an advance copy of Salt to the Sea by Ruta Sepetys, and I think you would find it very interesting. 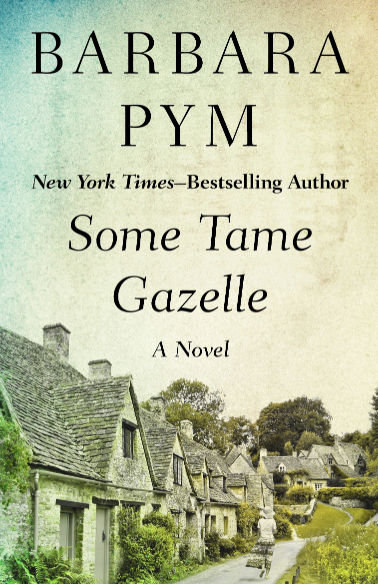 It is a YA novel set in Poland in January 1945. A group of refugees is making their way to the port city of Gdynia to escape the Russian front, which is drawing ever closer. They board a ship called Wilhelm Gustloff to get to safety. The characters are fiction, but the story of what happens on the Gustloff is true. A fabulous and heart-wrenching story! Thanks for the reminder, Jackie. I loved her other book and look forward to the movie. Thank you so much for telling me. Yes, the story of the Gustloff is heartbreaking. I’ve watched more than one movie on it (only available in German). Sounds like an excellent choice for a YA novel. I hope I’ll be able to read it soon. I had not heard about the story of the Gustloff until I read Salt to the Sea. I suppose it was kept quiet by the Nazis and Soviets for a long time. I believe the novel publishes in the US in February. I hope it is available in Europe at the same time. Have not read Christa Wolf yet, but I’m intrigued, Caroline. I think you’d like a lot of what she wrote but I wouldn’t start with this one. Although many people love it. I suppose – as so often – the translations smoothes out wome of the rough cuts. Cassandra was one of the set texts I had to read at uni, and I was totally in love with that book for a long time. I started reading The Quest a while ago but I didn’t get along with it. I think it’s one of those books you really have to be in the mood for? I’d like to read some of her other works. No Place on Earth sounds interesting. It must have been so difficult for East Germans after the wall came down. How disorientating and bewildering it would be to have everything change so suddenly, and in so many drastic ways. I’m glad you say that. I was beginning to doubt myself. I loved Cassandra and while The Quest has beautiful passages, overall I don’t get along with it and it’s a chore. If I had more time/know earlier, I would have read Medea. I guess, you have to be in the mood for “The Quest”. Can’t say I am right now. Hope she had written more books which are slim – 100 page novellas 🙂 I read ‘August’ quite fast, because it was slim. ‘Cassandra’ is more slowgoing, but I am loving it. 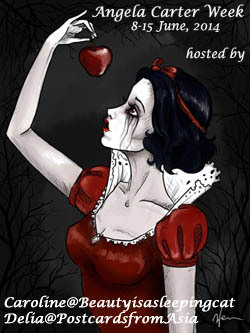 Hope you are enjoying ‘The Quest for Christa T’. I will look forward to hearing your thoughts on it. It’s a mixed bag, Vishy. You’ll see once I post my review. I have to admit here that I was never a fan of Christa Wolf. I read Christa T. and Kassandra and it was ok, but not more. Maybe it’s my fault, but I consider her no match compared to other female East German writers, such as Brigitte Reimann, Sarah Kirsch, the fantastic Irmtraud Morgner, or Monika Maron. Her Stasi involvement and her rather inadequate role as an author who carefully avoided to offend the authorities and as a result a certain lack of solidarity with other writers who were in trouble added probably to my reluctance to read more works by her. I guess I sound a bit harsh here and maybe I have to revisit her work again, but that will have to wait a bit. I totally agree with you abou the other authors. I love Brigitte Reimann, and the others. Cassandra is a great book, in my opinion but Christa T.? At least it’s not to my liking. And the politics – yeah well – not my idea of solidarity either. I’ll visit as soon as I’ve published my own review. I haven’t read this author but I’ve started on another Remarque book, The Black Obelisk, and I’m enjoying it so far, though not as much as I did A Time to Love and a Time to Die. I’ve got that but haven’t read it. My favourite Remarque is still Arc de Triomphe. Of course, All Quiet is amazing too.